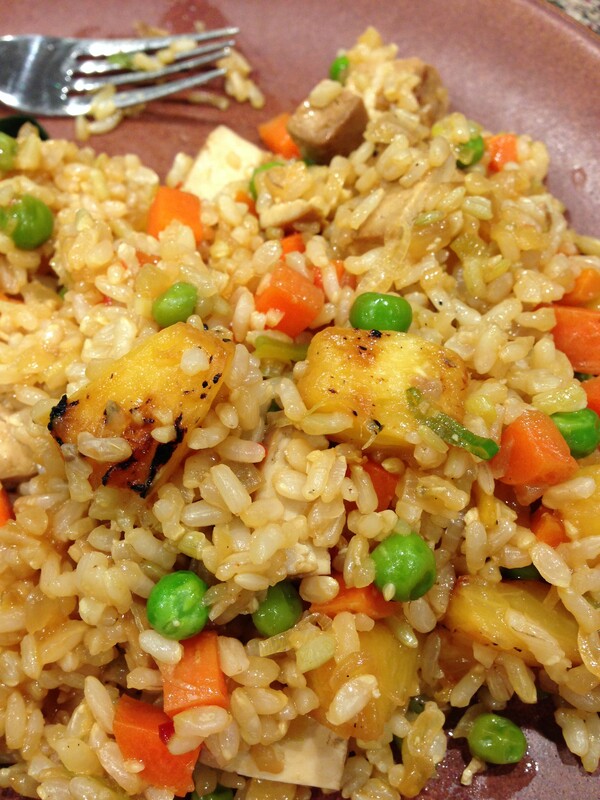 This rice dish was something I was able to throw together one night, using items I had on hand. Love it when that happens. The tofu I used was a packaged, Thai marinated flavor. Feel free to use any flavor you like, or bake your own. I was on a mission to make this dish as quick as possible so I used the pre-baked kind. Nice and easy. Also, in the spirit of ease and convenience, I used the frozen brown rice you can find at almost any grocery store these days, including Costco. I separately microwaved 2 bags, and spread the warmed rice out on a large plate in a thin layer to cool. This is important as the rice can get gooey and clumpy when added to the pan with the other ingredients if not cooled, and the grains somewhat separated.